SpeedPro has been serving clients in Raleigh and throughout the State with large format printing services for over nine years. We are conveniently located in a state of the art facility in Apex with convenient access for our customers in Apex, Cary, Raleigh, Durham, Chapel Hill, RTP, Holly Springs, Fuquay-Varina and Pittsboro. We are proud members of the Apex Chamber of Commerce and the Apex Rotary Club. 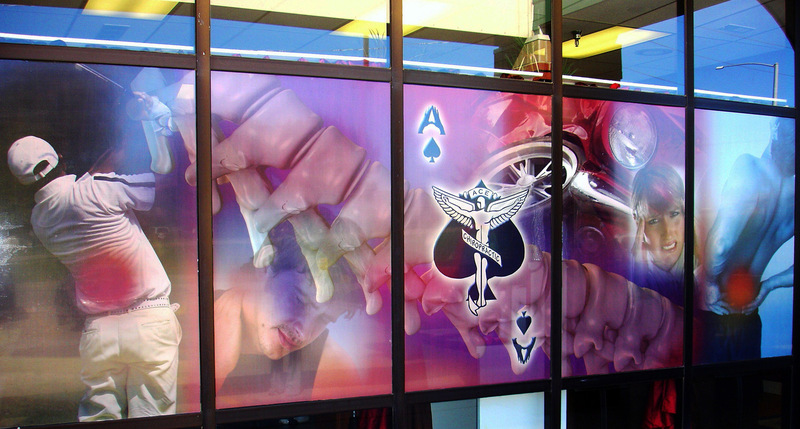 From trade show displays and car wraps to indoor and outdoor signs, we’re equipped to handle all of your graphics needs. We’re experts in visual communications, and we’re here to help you find the right solutions for your next project. Our professional team has over 45 years of combined experience in printing, graphic design, visual merchandising, and high touch customer service. Listening and understanding your needs are very important to us and we pride ourselves on providing great marketing solutions for our clients. Strong communication and follow through are key and we’ll make sure that your graphics are crystal clear and match your brand to your exact specifications. We set out to establish long-term relationships and to deliver some of the highest quality products and services that exceed our client’s expectations. With an average turnaround time of 3 days, we strive to ensure satisfaction in all that we do. We’ve worked with small and large organizations such as car dealerships, police and fire depts., town organizations, banks, churches, leasing companies, marketing firms, event planners, real estate and development firms, retail stores, restaurants, hospitals, schools, colleges, and more. Give us a call today to schedule a consultation or to learn more about our comprehensive services. We want to show you how easy it can be to work with us.